Our Name - Earthshine Corp. 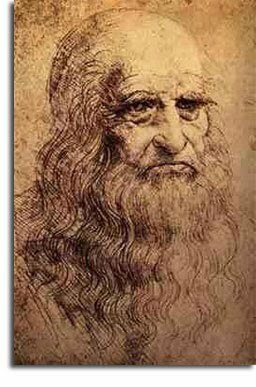 When you think of Leonardo Da Vinci, you probably think of the Mona Lisa or 16th-century submarines or, maybe, a certain suspenseful novel. That's old school. From now on, think of the Moon. Little-known to most, one of Leonardo's finest works is not a painting or an invention, but rather something from astronomy: He solved the ancient riddle of Earthshine. You can see Earthshine whenever there's a crescent Moon on the horizon at sunset. Look between the horns of the crescent for a ghostly image of the full Moon. That's Earthshine. For thousands of years, humans marveled at the beauty of this "ashen glow," or "the old Moon in the new Moon's arms." But what was it? No one knew until the 16th century when Leonardo figured it out. When the sun sets on the Moon, it gets dark--but not completely dark. There's still a source of light in the sky: Earth. Our own planet lights up the lunar night 50 times brighter than a full Moon, producing the ashen glow. This motivates Earthshine’s involvement in solar and other renewable energy sources. If the Earth can light-up the dark side of the moon, why can’t we harness this energy and light-up ourselves? Visualizing this in the 1500s required a wild kind of imagination. No one had ever been to the Moon and looked "up" at Earth. Most people didn't even know that Earth orbited the sun. Wild imagination was one thing Leonardo had in abundance. His notebooks are filled with sketches of flying machines, army tanks, scuba gear and other fantastic devices centuries ahead of their time. He even designed a robot: an armored knight that could sit up, wave its arms, and move its head while opening and closing an anatomically correct jaw. That´s the kind of imagination we use in Earthshine to provide innovative strategies and “out of the box” approaches to our projects and our clients.